Individuals with FASD and the Courts: What Social Workers Need to Know,” has been published in the Fall/Winter 2018 issue of the National Association of Social Workers (NASW’s) Specialty Practice Sections, Social Work & the Courts, Section Connection newsletter (see p. 5-8 of the attached PDF). Click here for the newsletter. Enter the 2017 FASD Awareness Month art/photo contest. Submit an image of “What FASD means to me” by September 3, 2017. For details, please visit www.nofas.org/artcontest. Check out this helpful guide for planning activities around FASD Awareness Month. The American Academy of Family Physicians (AAFP) has developed a web page dedicated to Alcohol Misuse. The page contains multiple resources on this topic, including a new alcohol intervention manual, Addressing Alcohol Use Practice Manual: An Alcohol Screening and Brief Intervention Program, developed in collaboration with the Baylor College of Medicine, Department of Family and Community Medicine’s FASD Practice and Implementation Center funded through CDC. The maps as well as data tables are found here. MotherToBaby partners at the National CMV Foundation have authored an original blog for June's CMV Awareness Month. Kristen Hutchinson Spytek, National CMV Foundation President, shares her personal experience with CMV, having a child severely affected by it, and her journey to educate the public about CMV prevention. FASD Awareness Month is an expansion of FASD Awareness Day that has been held each year on September 9th since 1999. The direct link to the feature, where it will remain accessible after it is gone from CDC’s home page, is www.cdc.gov/features/fasd-awareness-day. A new article from the NACC Guardian, Vol. 38, No. 06, August 2016. Why Should Indian Children be Treated Differently ?, by Judge Leonard Edwards (Retired). To read the full article click here. On July 27, 2016 an article, Updated Clinical Guidelines for Diagnosing Fetal Alcohol Spectrum Disorders, was published in the latest issue of Pediatrics as an e-pub ahead of print by Dr. Eugene Hoyme and colleagues. To view the entire article click here. The American Academy of Pediatrics’ Clinical Report on FASDs was released online in the November 2015 issue of Pediatrics (attached). Excessive alcohol use continues to be a drain on the American economy, according to a new study released in The American Journal of Preventive Medicine (AJPM). Excessive drinking cost the United States $249 billion in 2010, or $2.05 per drink, a significant increase from $223.5 billion, or $1.90 per drink, in 2006. Most of these costs were due to reduced workplace productivity, crime, and the cost of treating people for health problems caused by excessive drinking. To view the press release click here. The new Data & Statistics page includes four new maps with state-by-state data for 2013 from CDC’s Behavioral Risk Factor Surveillance System on alcohol use and binge drinking among women of childbearing age (within the last 30 days of the time of the interview). September 9 is International Fetal Alcohol Spectrum Disorders Awareness Day. In honor of FASD Awareness Day and to continue raising awareness about alcohol use during pregnancy and FASDs, we have a feature on the CDC home page– Living with FASDs: In Taylor’s Own Words. The direct link to the feature, where it will remain accessible after it is gone from CDC’s home page, is www.cdc.gov/features/fasd-taylors-story/. Also, check back for a Spanish version of the feature that will be available soon atwww.cdc.gov/spanish/especialesCDC/. What is the best questionnaire to screen for alcohol use disorder in an office practice? A variety of questionnaires can be used. The important thing is to be proactive about screening for this very common yet under recognized problem. The National Coalition of Native American Language Schools and Programs (NCNALSP) is happy to announce that the U.S. Senate passed an important amendment to the Every Child Achieves Act of 2015, which reauthorizes elementary and secondary education programs for the next five years. To see the announcement click here. A closer look at the link between specific SSRIs and Birth Defects. Read a summary of the key findings from this paper and read the article’s abstract. CDC funds the Centers for Birth Defects Research and Prevention (CBDRP). This collaborative group of research centers aims to increase what we know about birth defects through tracking, research, and partnerships. CDC Activities on Medication Use in Pregnancy: Treating for Two. This research is part of CDC’s Treating for Two: Safer Medication Use in Pregnancy initiative. Do you have questions about how medications you are taking may affect a pregnancy? MotherToBaby.org can help you find the answers. The following appeared in The Journal of the American Medical Association (JAMA) section on “News from the Centers for Disease Control and Prevention” March 24/31, 2015. The summary is based on the January 30 CDC Morbidity and Mortality Weekly Report (MMWR), Fetal Alcohol Syndrome Among Children Aged 7-9 Years – Arizona, Colorado, and New York, 2010, which described findings on prevalence of fetal alcohol syndrome in three sites through the CDC-funded Fetal Alcohol Syndrome Surveillance Network II. To View the summary click here. A “Share With Women” fact sheet published in ACNM’s Journal of Midwifery & Women’s Health* – this fact sheet is available in English and Spanish (both are also attached as PDFs). They are free access to download and are intended to be provided to patients. On behalf of MotherToBaby, their June blog on asthma, allergies, and pregnancy by Mara Gaudette, MS, CGC, genetic counselor. To view the blog click here. SAMHSA FASD Center for Excellence is pleased to announce that Treatment Improvement Protocol (TIP) #58, Addressing Fetal Alcohol Spectrum Disorders (FASD), is now available for download from the SAMHSA Store. The first TIP to deal directly with the topic of FASD, TIP 58 provides best-practice guidelines for preventing and addressing FASD in behavioral health settings. The publication of TIP 58 provides a valuable new resource to the field of FASD. We encourage everyone to download the TIP and share it with providers, and also with individuals and families impacted by these disorders. We also invite you to read our new Ask the Expert column, featuring an interview with Dr. Sterling K. Clarren, co-chair of TIP 58. And keep an eye on our Web site for announcements about forthcoming Webinars about the TIP and how it can be used to expand FASD-related services in a variety of settings. In the UK the Department of Health recommends that pregnant women and those trying to conceive should not drink alcohol at all and no more than 1-2 units a week. [See below for translation to U.S. standard drinks. *] Middle class women were most likely to drink more than this, the study found. The researchers base their findings on responses to food frequency questionnaires by 1264 women at low risk of birth complications in Leeds. All the women were part of the Caffeine and Reproductive Health (CARE) study, looking into links between diet and birth outcomes. The mums to be were asked how often they drank alcohol, and what type it was, at four time points: in the four weeks before conception; and in each of the subsequent three months (trimesters) throughout the pregnancy. Alcohol consumption was significantly higher before conception and in the first three months of pregnancy than in the subsequent two trimesters, averaging 11, 4, and just under two units a week, respectively. Over half (53%) of the women drank more than the recommended maximum two weekly units during the first trimester. And almost four out of 10 said they drank more than 10 units a week in the period leading up to conception. Those who drank more than two units a week were morelikely to be older, educated to degree level, of white ethnicity, and more likely to live in affluent areas. Some 13% of the babies born were underweight, and 4.4% were smaller than would be expected; a similar proportion (4.3%) were born prematurely. Drinking during the first three months of pregnancy was most strongly linked to these outcomes. Women who drank more than the recommended two weekly units were twice as likely to give birth to an unexpectedly small or premature baby than women who abstained completely. But even women who didn't exceed the maximum recommended alcohol intake during this period were still at increased risk of a premature birth, even after taking account ofother influential factors. Drinking during the period leading up to conception was also linked to a higher risk of restricted fetal growth,indicating that this may also be a critical period, suggest the authors. "Our results highlight the need for endorsing the abstinence-only message,and further illuminate how timing of exposure is important in the association of alcohol with birth outcomes, with the first trimester being the most vulnerable period," they write. * This is equivalent to about ½ to 1 US standard drink. US standard drink = 12 oz. beer, 5 oz. wine, or 1.5 oz. distilled spirits. 1 British unit is 8 grams of pure alcohol. 1 US standard drink is 14 grams of pure alcohol. The CHOICES intervention is now included in SAMHSA’s National Registry of Evidence-based Programs and Practices (NREPP). A link to the NREPP registry description of CHOICES is included on our website at http://www.cdc.gov/ncbddd/fasd/research-preventing.html along with a CHOICES one-pager and a link to download or order the CHOICES curriculum. The direct link to the NREPP description of CHOICES is found here and the full PDF is attached. Being included in NREPP is a promising strategy for making the intervention more accessible to others. National Center on Birth Defects and Developmental Disabilities (NCBDDD) has published two new studies on alcohol use during pregnancy published recently. The journal Alcoholism: Clinical and Experimental Research has published “The association of mild, moderate, and binge prenatal alcohol exposure and child neuropsychological outcomes: A meta-analysis.”Rread the abstract of the study here and a summary of key findings here. The journal American Journal of Health Education has published “Women's knowledge, views, and experiences regarding alcohol use and pregnancy: Opportunities to improve health messages.” Read the article’s abstract here and summary of key findings here. FAS ANNIVERSARY. 2013 marks the 40th anniversary of when Drs. Kenneth Lyons Jones and David Smith discovered Fetal Alcohol Syndrome (FAS). In the following video, Dr. Jones delivers a powerful message about drinking alcohol during pregnancy. Plus, expert resources are available on MotherToBaby.org. To view the video click here. We are pleased to announce the release of a new article entitled the “State Costs of Excessive Alcohol Consumption, 2006.” The article, which is available free to the public, is being posted online today by the American Journal of Preventive Medicine, and will be published in the journal’s October 2013 online issue. The authors report that excessive alcohol use cost states and D.C. a median of $2.9 billion in 2006 (the most recent data available), ranging from $420 million in North Dakota to $32 billion in California. This means the median cost per state for each alcoholic drink consumed was about $1.91. Binge drinking, which is defined as consuming five or more drinks on an occasion for men or four or more drinks on an occasion for women, was responsible for more than 70 percent of excessive alcohol use related costs in all states and D.C. The District of Columbia had the highest per-person cost ($1,662), while Utah had the highest cost per drink ($2.74). Furthermore, about $2 of every $5 in state costs were paid by government. Economic cost estimates for states and D.C. were based on a previous CDC study that found that excessive drinking cost the United States $223.5 billion in 2006. Costs were assessed across 26 cost categories and included losses in workplace productivity, health care expenses, criminal justice, and motor vehicle crash expenses. However, the study did not include a number of other costs, such as those due to pain and suffering, and is therefore likely to be an underestimate. Raising awareness about the high cost of excessive drinking where you live. Please visit our web site – www.cdc.gov/alcohol – for more information on excessive alcohol use, and the alcohol section of the Community Guide web site for more information on evidence-based strategies to prevent excessive alcohol use. Thank you for your continued interest and efforts in the prevention of excessive alcohol consumption. In 2001, the Centers for Disease Control and Prevention, National Center on Birth Defects and Developmental Disabilities, Fetal Alcohol Syndrome Prevention Team awarded the National Indian Justice Center (NIJC) a cooperative agreement. 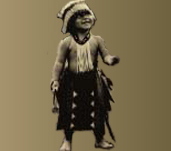 Pursuant to that cooperative agreement, NIJC developed a fetal alcohol syndrome (FAS) awareness curriculum which promotes a tribal multi-disciplinary team approach for responding to persons with FAS and alcohol related neuro-developmental disorder (ARND) who are involved in the tribal justice system as defendants, witnesses and/or victims. The goals of this curriculum are to increase awareness of FAS/ARND among tribal justice system personnel and to reduce the secondary disabilities associated with FAS/ARND specifically those that result in increased criminal behavior among or victimization of persons with FAS/ARND. To learn more about FAS/ARND, go to About FAS. 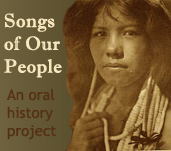 This curriculum is available through NIJC at a cost of $40 including, printing, handouts and standard shipping via U.S. mail. For more information about the curriculum content, go to About the FAS Curriculum. To order the curriculum, go to NIJC's Publication List. Copyright © National Indian Justice Center. All rights reserved.